Ever since Aadhaar was introduced by UIDAI and Govt. of India, one of the basic premises was that it cannot be canceled. Once an Aadhaar user has entered the system, he or she couldn’t leave that – only deactivation was possible. But now, as per fresh reports coming in, this may change soon. Govt. will now soon allow Aadhaar users to ‘opt out’ from the system, and even delete all biometric data and other information. How was this made possible? Keep reading to find out..
Aadhaar Data Opt Out: How? Based on feedback from security analysts and the public at large, Govt. had proposed to UIDAI and Law Ministry that children who turn 18 years should be given a choice: Whether they want Aadhaar or not. As per the initial proposal, as soon as someone turned 18, he or she should be given 6 months to decide whether Aadhaar should be kept or not. However, Law Ministry suggested that this choice to opt out should be provided to all citizens. Now, this proposal took another turn, when the Govt. suggested that the option to opt out from Aadhaar should be given to those, who have no PAN Card. The proposal is now being studied by the Cabinet, and a notification would be issued soon: Whether everyone should be allowed to opt out from Aadhaar or only those who don’t have a PAN Card. 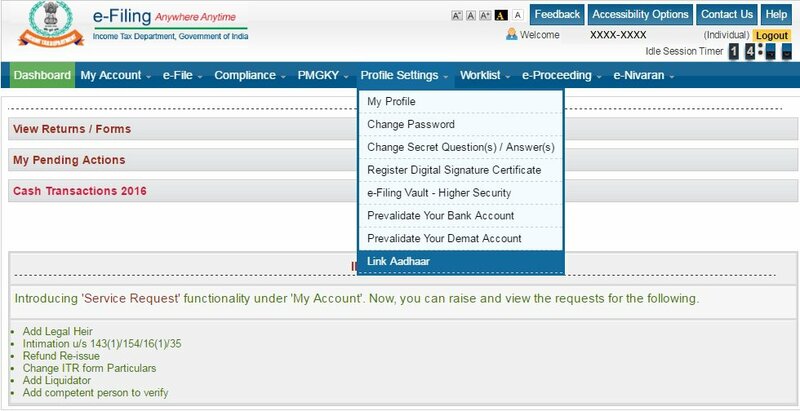 How To Delete Aadhaar Biometric Data? The proposal also covers biometric and other data which resides with the UIDAI of Aadhaar holders. If the Cabinet passes the proposal, then users would be able to delete their biometric data as well. This can be a huge boost to the advocates of privacy and data, who were concerned about how Aadhaar works. 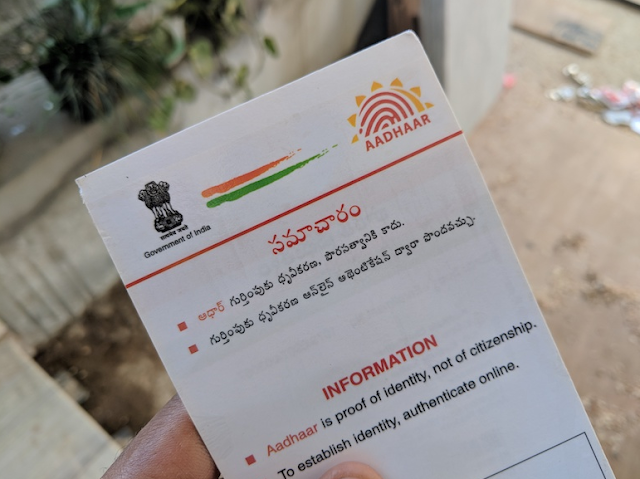 In September, the Supreme Court had struck down Section 57 of Aadhaar Act, which prohibited private companies from enforcing Aadhaar data linkage with their services (read telecom operators), and to store any form of biometric data. This proposal to cancel and opt-out from Aadhaar stems from this Supreme Court judgment and supports the theory that citizens should be able to decide whether they want their data with UIDAI or not. In nutshell, we support this decision. Do share your views and opinions by commenting right here! अब कोई आपके आधार का गलत इस्तेमाल नहीं कर सकता. 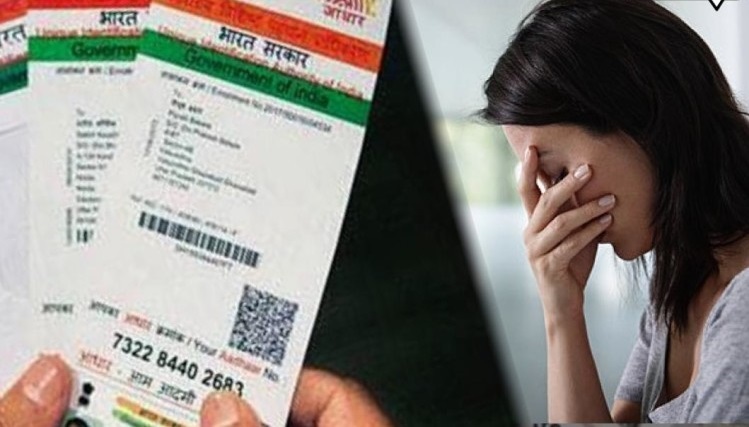 क्योंकि अब UIDAI की वेबसाइट पर लॉग इन करके इसे सिक्योर बनाया जा सकता है. हाल ही में हजारों यूजर्स के आधार नंबर और पर्सनल जानकारी लीक होने की खबरें आई थीं. इसके बाद आधार की सुरक्षा को लेकर सवाल उठ रहे थे. हालांकि, 'यूनीक आइडेंटिफिकेशन अथॉरिटी ऑफ इंडिया' ने कथित तौर पर एक आरटीआई के जवाब में दावा किया कि आधार कार्ड होल्डर्स का बायोमीट्रिक डाटा पूरी तरह सिक्योर है. 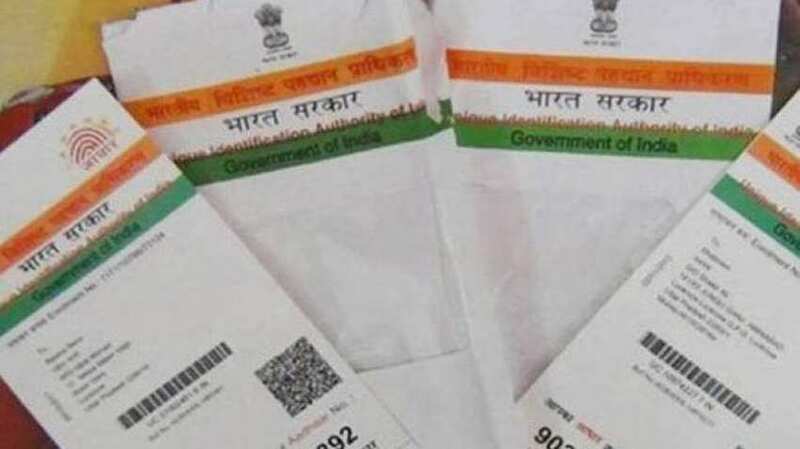 UIDAI वेबसाइट पर आधार यूजर्स को बायोमीट्रिक इन्फॉर्मेशन लॉक करने की सुविधा दी गई है, ताकि किसी भी तरह इसका गलत इस्तेमाल रोका जा सके. यहां हम आपको आधार का बायोमीट्रिक लॉक करने का प्रॉसेस बता रहे हैं. Telecom operators have said that Aadhaar number was never mandatory for new mobile connections but used only for the re-verification process of old subscribers, as per Department of Telecommunications norms, which still stand. Telcos added the recent reports quoting Telecom Secretary Aruna Sundararajan saying companies can also accept other modes of identification proofs besides Aadhaar for issuing new connections has led to more confusion for them. “We never told our new customers that Aadhaar was mandatory. So, now we do not know if the secretary means for verifying new customers or re-verifying old ones. This has definitely led to confusion…,” said an official at one of the operators told Economic Times. A DoT official also confirmed the same saying that Aadhaar was never mandatory but was one of the documents that consumers had to give for new connections. It was back in 2016 that telecom department told operators to accept Aadhaar as one of the documents to register new customers. 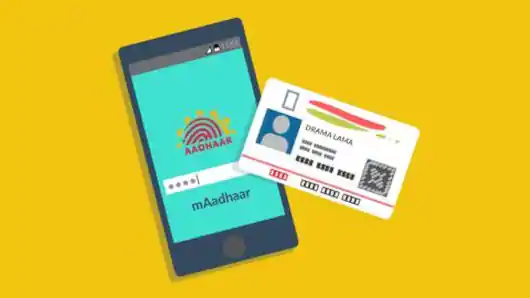 The confusion arose after media reports that Sundararajan said companies had been directed to issue new SIM cards without Aadhaar on the basis of alternative identification such as election voter ID or driving license. “As per rule, fresh connections can be given using any authentic ID and address proof. There is no change in that rule. Telecom operators cannot deny fresh SIM to people having valid ID and address proof document. For re-verification, we have to wait for Supreme Court order as the matter is sub-judice,” Sundararajan had said. Officials at the telcos asking not to be named say they have no new instructions from the government on the matter. They clarified Aadhaar was a preferred mode of verification for new users as it made the process easier and faster, but it wasn’t the only mode as other IDs including driving licenses and passports are also accepted. 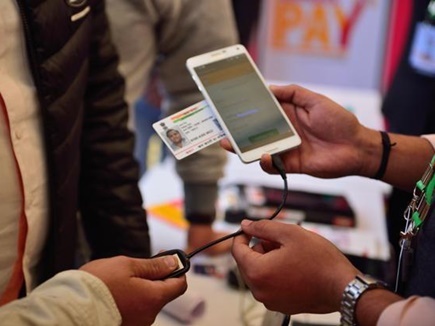 However, an official told that SIM-Aadhaar linking policy still stands and those who have issued SIMs on the basis of other IDs than Aadhaar will be required to undergo re-verification through Aadhaar based e-KYC at later point. With the issue of Aadhaar being debated in the Supreme Court, there have been a lot of confusion, especially since Supreme Court clarified they had never passed any rule for making Aadhaar mandatory. Also, the DoT earlier extended the deadline for re-verification of mobile numbers through Aadhaar till the apex court decides of the constitutional validity of Aadhaar law. If you are concerned about the misuse of your Aadhaar cards, which are used for authentication to avail of wide spectrum of services, then worry no more. Now, users can check when and where have their biometric ID’s have been used. The Unique Identification Authority of India (UIDAI) that manages Aadhaar is giving the option of retrieving the history of the card being used over a period of time. All users have to do is to visit the UIDAI website and log in to Aadhaar Authentication History page under Aadhaar services tab. Here is a quick guide to retrieve the history of your Aadhaar. 1. Enter the unique Aadhar number and generate OTP by filling the security code displayed on the screen. 2. On the new page that appears, select the type of authentication you want to check for. The UIDAI offers Biometrics, Demographics, OTP, Demographic & Biometric, Biometric & OTP and Demographic & OTP options. Users can also select the All option to inquire every entry made through Aadhaar. 3. Enter the date range for which you want to retrieve the history, UIDAI provides a history for last seven months till date. 4. Enter the generated OTP and click submit. 5. The result will be displayed in the form of date, time and type of Aadhaar authentication used. The service will help the user keep track of their Aadhaar activities and if any suspicious activity has been done through their account. The government has recently extended the last date to link Aadhaar card with bank accounts and PAN to March 31. Go and check your history now. But now, the decks are cleared. All telecom operators have informed the Govt. that they are now ready with the infrastructure for linking mobile number of users with Aadhaar, and starting January 1st, any mobile user would be able to link their Aadhaar with their SIM, using a single OTP. Hence, no more mandatory visits to the retail outlets of telecom companies for performing this task, and no more hassles. However, considering that February 26th is the last date for this process, will Indian citizens have enough enough time to link their mobile with Aadhaar? And, why has this delay happened? We will soon find out..
-Step 1: Telecom users will be required to call a number, which will be heavily advertized by all telecom operators, all across the India. It seems that different telecom operators will have different toll-free numbers where their users can call and start the process of Aadhaar re-verification. But earlier, UIDAI had informed that there will be a single number for the process. We will update this section when we get more clarity. -Step 2: The toll-free number shall be an Interactive Voice Response System (IVRS), where the user will be informed about the process in English, Hindi and other major regional languages. But.. Why This Delay? This easy, smooth OTP based Aadhaar re-verification was announced by Govt. in the month of October, when it was said that starting November 15th, users would be able to use this. However, later it was postponed to December 1st, and now, January 1st is the final roll-out date. This unnecessary delay of 1.5 months is something which is really interesting, considering that both telecom operators and Govt. were on the same page on this issue. And, the blame game has already started. COAI, which is an influential lobby of telecom operators have blamed UIDAI for the delay, but UIDAI has refused to accept the blame. It seems there was some confusion regarding the Customer Acquisition Form (CAF), which was earlier supposed to be filled by the user before OTP based re-verification process started. But now, there is no mention of this step. COAI in a statement said, “This (announcement of November 15th launch) was done even though the telecom department, UIDAI and the (telecom) industry were still under discussions on the OTP-based process… the telecom companies have in the past represented to UIDAI that in order to implement the OTP-based process, the present Customer Acquisition Form (CAF) would be required to be modified.” One of the UIDAI official has claimed that “it was rather the mobile companies that had been dilly-dallying”. Now, the question is, whether 1 month and 25 days are enough for almost 30 crore users who have still not linked their Aadhaar with mobile number? We will soon find out! Before We End, A Word Of Caution OTP based scams are happening a lot these days, as the scamster leaves no stone unturned to confuse and cajole the end-user to share their OTP. Hence, for OTP based Aadhaar re-verification, only rely on the official number shared by your telecom operator, and NEVER, under any circumstances, reveal your OTP to any person. This OTP based process is fully automatic, and there shall be living person involved. RBI Clarifies: Linking Bank Accounts With Aadhaar NOT Mandatory As Of Now! The doubts have been finally cleared. Reserve Bank of India, India’s central banking institution, has made it absolutely clear that linking bank accounts with Aadhaar is not mandatory as of now. This clarification by RBI has cleared so many doubts, especially at a time when banks are using every force available with them to ‘force’ and ‘coerce’ their customers to link Aadhaar with their bank accounts. In a related news, Unique Identification Authority of India (UIDAI), the central authority to monitor and regulate Aadhaar cards have explicitly said that no Indian can be denied welfare schemes, in the absence of Aadhaar card. This comes after a 11-year old kid in Jharkhand died because she was not able to receive ration due to non-availability of Aadhaar. Moneylife, a news portal, had filed an RTI with RBI, seeking clarification on the linking with bank accounts. “The Government has issued a Gazette Notification GSR 538(E) dated 1 June 2017 regarding Prevention of Money laundering (Maintenance of Records) Second Amendment Rules, 2017, inter-alia, making furnishing of Aadhaar (for those individuals who are eligible to be enrolled for Aadhaar) and permanent number (PAN) mandatory for opening a bank account. It may be noted that Reserve Bank has not yet issued an instruction in this regard”. This means that Govt. 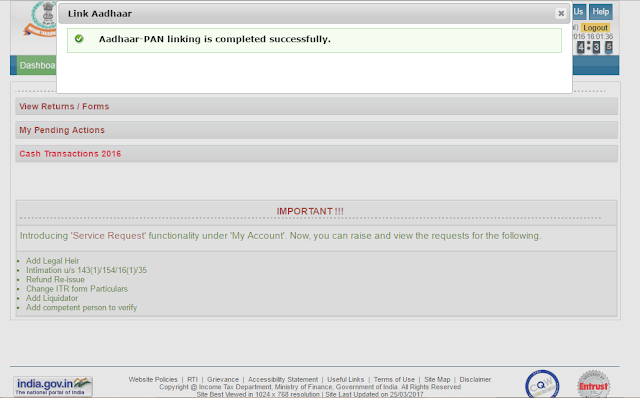 is forcing all banks to ask their customers for linking their bank accounts, in their own capacity. RBI as such hasn’t issued any notification regarding the same. In the RTI, it was also asked whether RBI has taken permission to force mandatory linking with bank accounts, which, RBI has denied, as they have said they have issued no such notification in their official capacity. In May this year, we had reported how a journalist figured out that Aadhaar linking of bank accounts is not mandatory, as unnamed bank managers informed her this fact. However, in June, under Prevention of Money Laundering Rule, Govt. has made it mandatory for all bank accounts to be linked with Aadhaar by December 2017, or else their accounts would be blocked. Confusion persists, but one thing is clear: If you are linking your bank account with Aadhaar, then do please do it only at the bank, not via phone. If you are doing it via phone, responding to a fraudster, your money can be robbed. A huge uproar ensued in India, when a 11-year old girl from Jharkhand’s one of the poorest district died when she was not given ration as her Aadhaar was not linked. Although clarifications were issued later, that she died because of malaria, and not Aadhaar issue, the anger was clearly there. UIDAI had to come out, and issue a statement, saying that no Indian can be denied welfare in the absence of Aadhaar. Pandey also stated that the girl had Aadhaar card, and the reason for her death is indeed unfortunate. A proper enquiry would be done to find out the truth. Even as the issue of privacy of citizens is being debated in the Supreme Court right now, Govt. of India is continuing with their effort to expand the usage and relevance of Aadhaar in more sectors. Two major developments have evolved in this regard: Aadhaar number would be mandatory for registration of any property which is being sold in India; and Aadhaar would be mandatorily required for issuing driving license. Aadhaar Must For Property Deals – Benami No More? 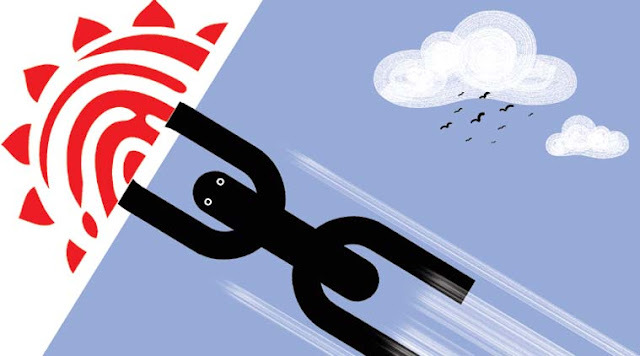 When it comes to real estate, then black money is a major issue. Property prices gets elevated, simply on the basis of rumors, and most of the transactions happen via cash. In order to put a check on such benami deals, Govt. has now made it mandatory to include Aadhaar during the registration of the documents, related to the property deal. Hence, for critical documents such as agreement for sale, power of attorney, will and more, participating parties will be required to product and mention their Aadhaar number by law. In fact, Govt. will soon amend Sections 32 and 32A of the Registration Act, 1908, so that there are no legal loopholes. Right now, till the it becomes a law, Department of Land Resources, which falls under under the Ministry of Rural Development, has already written to all State Governments and UTs to mandate ‘consent based Aadhaar authentication’ for all property deals. 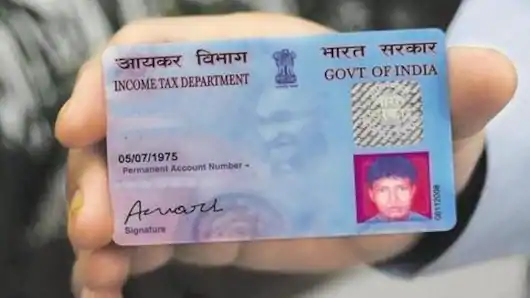 Once every PAN Card is linked with Aadhaar, then such moves will deter black money hoarders from skipping tax, and real estate market can become more transparent, and honest. In a related news, Government is now about to create a central database of all vehicles and their owners, using Aadhaar as the binding factor. As per Union Transport Minister Nitin Gadkari, this move will help to stop all ‘bogus licences’, which are issued. Earlier this week, Union Minister for Information & Technology, Ravi Shankar Prasad had also hinted that every driving license will be now required to be linked with Aadhaar database. We will keep you updated as we receive more updates regarding this news.